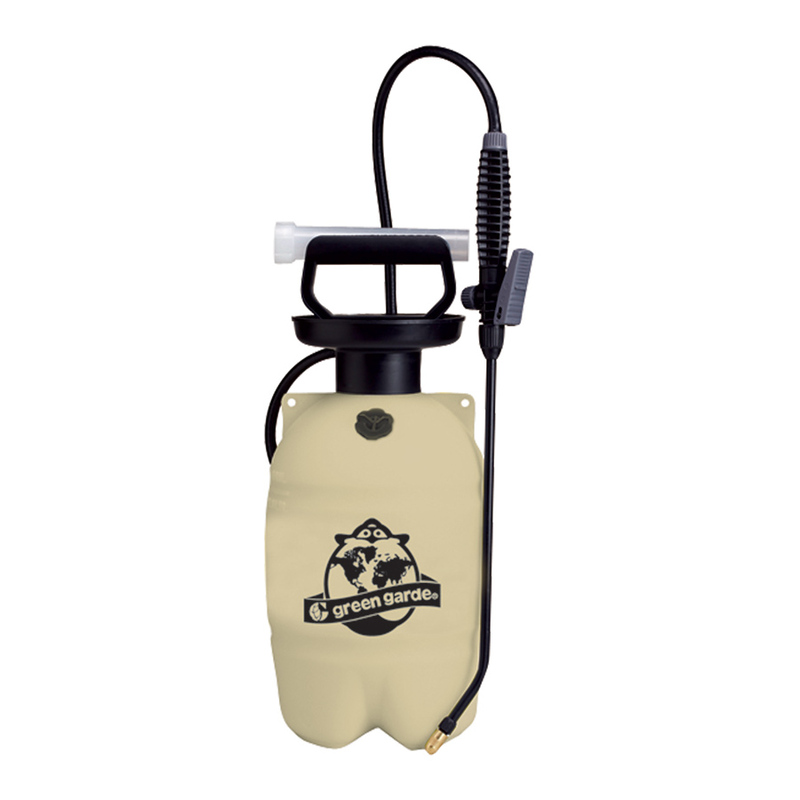 Quality garden sprayer with 4L tank made from recycled polyethylene. Poly thumb-operated shut-off valve (TOV™) with in-line filter. 30.4cm curved poly spray wand. Adjustable brass cone nozzle – adjusts from fine mist to long-distance stream. 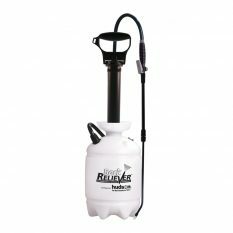 Comfortable 'D'-shaped pump handle allows for one-handed spraying. Measuring cup and eco-guide booklet included. Carton made from recycled materials and printed with environmentally-friendly soy inks. 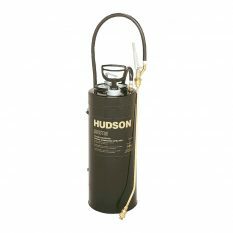 The Hudson Green Garde® Eco-Friendly compression garden sprayer has a 4-litre translucent tank made from recycled polyethylene with large funnel top. 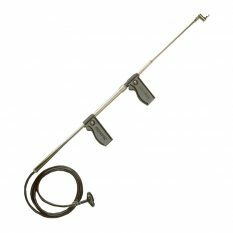 It also features a locking lever-action thumb-operated shut-off with in-line filter and 30-centimetre curved poly spray wand. The brass cone nozzle allows adjustment from fine mist to long-distance stream. A handy manual-pressure release valve is fitted to allow pressure release without opening the pump assembly. 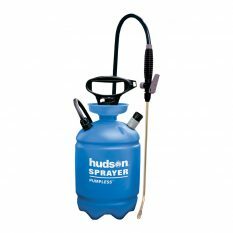 The sprayer also includes a supply tube filter, comfortable D-shaped pump handle for one-handed spraying, and a chemical measuring cup and organic spray guide. One-year warranty. Be the first to review “Green Garde Eco-Friendly Sprayer 4L” Click here to cancel reply.